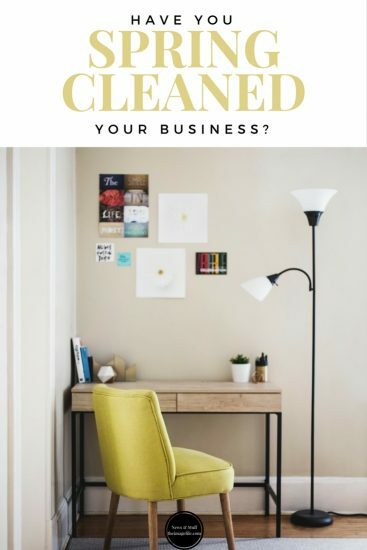 Have You Spring Cleaned Your Business? Over the past week, Spring seems to have made a grand entrance and with it the need to blow away the cobwebs and dust off our businesses. So what simple things can you do to spring clean your company? 1. Jazz up your website! A great website isn’t only a way of having your brand online but is also a way of growing your business. So, make sure it’s looking its best by refreshing some of your images, maybe changing the layout or having an overhaul all together? You can easily make these alterations yourself by simply logging into theimagefile > My Websites > Main > Customise Design. However, if you would rather someone else handled the changes for you, take a look at our Website Design Service! 2. Boost your SEO! Boosting your SEO is a great way to increase your website traffic. The best way to achieve great SEO is to really think about your key phrases. Write down anything you think your potential clientèle might search for when looking for your business. For example; children’s photography, family photo shoot, Buckinghamshire etc and work these in to your web pages and meta tags. Equally, make sure you make the most of those all important browser titles to really get that SEO boost! 3. Start a blog! A blog is a great tool for small businesses as it allows your brand to connect with current and potential customers on a more informal level. However, when running a blog it’s important that you post regularly and keep it up-to-date! When you signed up to theimagefile you will automatically have access to create a WordPress blog. To start setting up your WordPress blog simply log in to theimagefile > My Websites > Create Web Page and click the page title “WordPress blog”. 4. Plan ahead! Weddings are being planned left, right and centre so make sure your business is advertising, your offers are out and your website has information and portfolio pages for prospect customers to view. If you don’t know where to start check out our wedding page sets that can easily be installed in your website! Enjoy and have a great bank holiday weekend! Webpages 101: What To Do With Your Contact Page! Why Should I Start A Blog? Selling & Marketing Within Automated Emails How Can SEO Help Me Boost My Business?